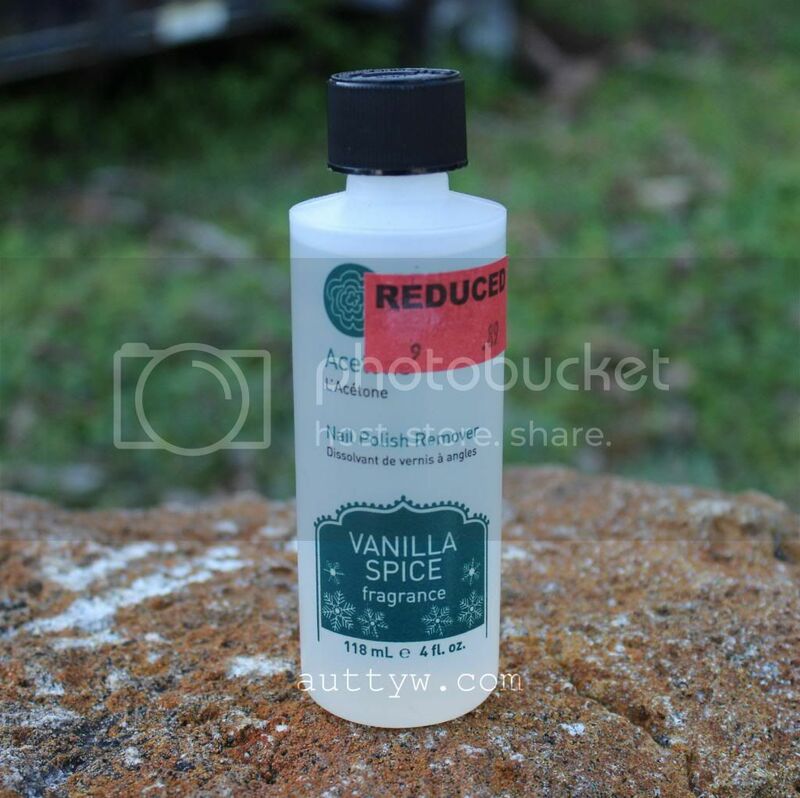 You may remember my review of the Pumpkin Spice Remover back in November. I decided to pick up the Vanilla Spice version since it was on clearance. Hopefully you can still find it! It was $0.89 then half off again. This is an Acetone remover so don't forget to moisturize your hands after you use it because it can be very drying. This smells more like a brown sugar pop tart. You get a hint of vanilla, but it's more of a brown sugar pop tart scent. This remover is fantastic regardless, I have no complaints. The scent does linger for a little while but it's not overpowering or anything. Heck my Mom even likes it. Ooh, this looks interesting! I've never tried scented polish remover before. But wow, talk about an awesome price! love the smell of brown sugar cinnamon pop tarts! 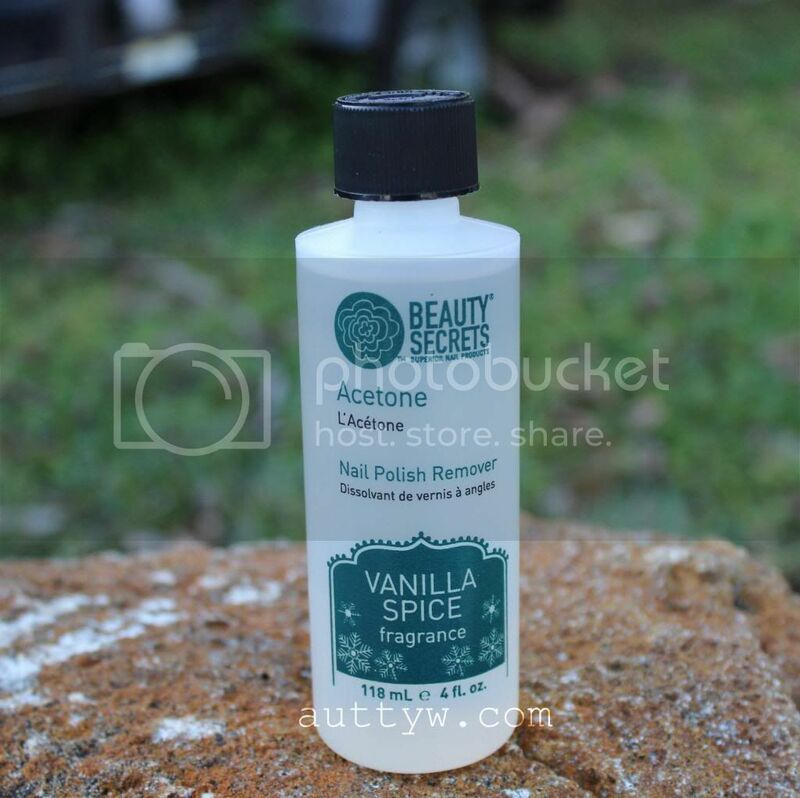 Can imagine the scent of this polish remover! I tried samples of the DL lavender-scented polish remover, but can not justify her price!! This scented acetone seems so weird to me. Am I the only one? No, I think they're definitely weird. The only reason I picked it up is because it was pretty dang cheap.